The resignation of Trump’s former national security advisor, Michael Flynn, has laid bare a fierce clash between the centres of power and factions in the White House and the Republican Party. The clashes within the US have turned to the main focus of international media and given rise to speculations over the possibility of Trump being removed from office. These days, media reports reveal a growing competition between the centres of power and factions in the White House and the Republican Party in the aftermath of the resignation of Michael Thomas Flynn, Trump’s former national security advisor. Well-known members of the Trump’s cabinet and the reasonable figures of the Republican Party are sitting on one side of the contest, and the circle of Trump’s advisors, who can be referred to as the members of his cabinet in “The Southern White House” are on the other side of the competition. Flynn’s resignation as well as a number of other inconsistencies in the Trump administration have intensified speculations about the likeliness of Trump being forced to announce resignation in the near future. 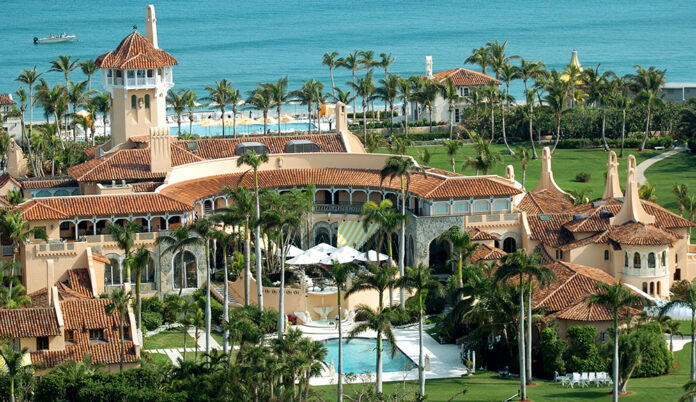 According to a Farsi report by Khorasan newspaper, Trump is spending so much time at his posh Mar-a-Lago resort in Florida which he has started to call “The Southern White House”. A Spanish phrase meaning ‘sea to lake’, Mar-a-Lago is a huge, old 126-bedroom mansion located in one of the most upscale neighbourhoods of the Palm Beach in Florida. Trump bought the manor in 1985 for $10 million and then turned it into a private club. Since coming into power as the new US president, Trump has spent all his weekends at Mar-a-Lago. However, the members of the club are pleased with being in contact with the US senior statesmen and having direct access to them. Mar-a-Lago or “The Southern White House” is home to part of Trump’s cabinet and a number of his advisors mostly comprising billionaires and his trusted army generals — those who are accused of being more concerned with their own interests than those of the US. Flynn was the first victim of the skirmish between the factions and centres of power in the Trump administration. Flynn resigned on February 13 over allegations that he had contacts with Russia. “In the White House, a much smaller but still powerful faction around Steve Bannon is consolidating power and persisting with Trump’s campaign promises: Barring refugees from Muslim countries, stepping up deportations of undocumented residents and dismantling the NATO alliance. “Flynn’s conversations with the Russian ambassador were perhaps defensible. Mike McFaul, Obama’s former ambassador to Moscow, said he had pre-inauguration contacts with Russian officials, adding that he didn’t make any deals…” But why Trump did not support Flynn and, instead, fired him. Nevertheless, it would not be plausible to think that the opposing side in the body of the Republican Party including figures such as Senator Lindsey Graham, Chairman of the Senate Armed Services Committee Senator John McCain and House Speaker Paul Ryan will sit idle waiting for the secret cabinet’s next move. The 25th Amendment of the US Constitution, proposed by Congress and ratified by the states in the aftermath of the assassination of the former US president, John F. Kennedy, provides the procedures for replacing the president or vice president in the event of death, removal, resignation, or incapacitation.